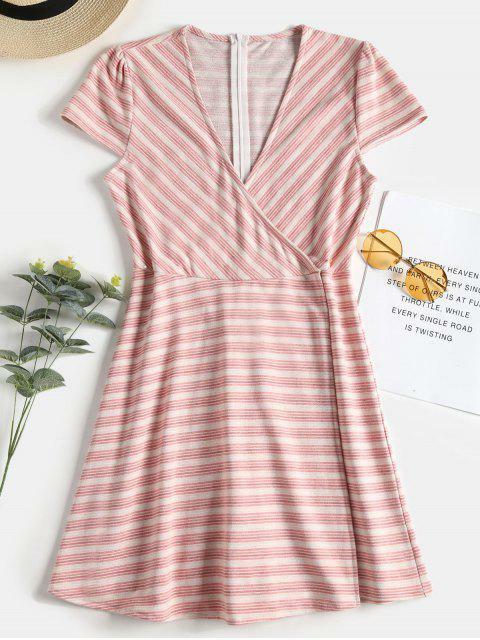 [59% OFF] 2019 Overlap Striped Skorts Romper In LIGHT PINK | ZAFUL .. 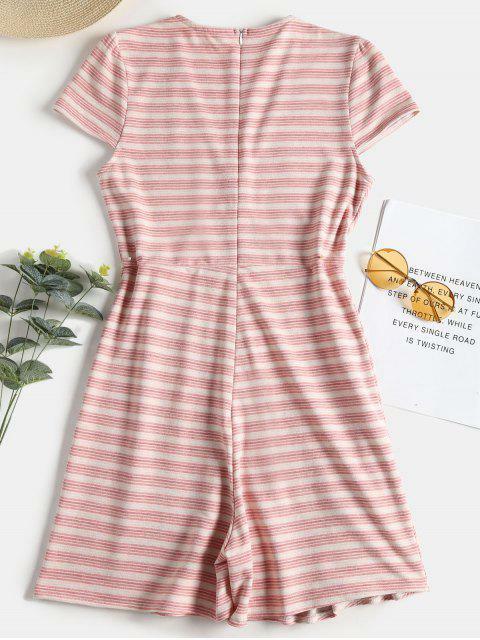 Featuring a skorts silhouette with an overlap design on the bottom, this chicly feminine romper is accented with the mellow striped pattern throughout, and is flirty with a surplice bodice that is framed by the short cap sleeves and ended with the back zipper closure. 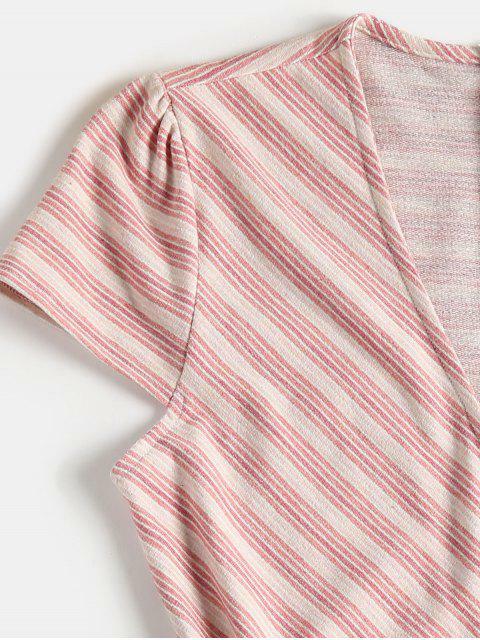 Try it with simple mules for a complete off-duty effect.